Our experienced Chef presents a unique ensemble of culinary delights. Delectably hot-off-the-stove specialties cooked in variations of both local and international styles, will please discerning palates. 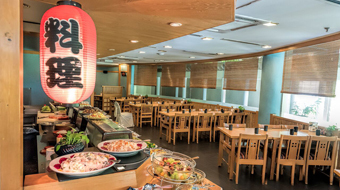 Award winning Japanese Specialty Restaurant offers authentic Japanese cuisine. It has four private Tatami rooms, Sushi bar and Teppanyaki counter. Indulge in Sashimi, Sushi, Oysters, Prawns and more at the Sunday Japanese Buffet Lunch from 11.30am to 2.30pm. The buffet is available on Sundays only. For reservation, please call (606) 766 7888 ext. 3555. 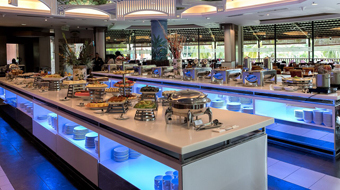 Offers an array of International and Asian Cuisine. Daily Breakfast, Lunch and Dinner offers a generous choice of delicacies. For reservation, please call (606) 766 7888 ext. 3222. 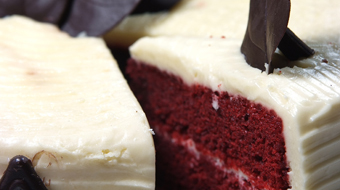 Relish freshly baked savories, sandwiches and wide variety of cakes. Available for take away. Daily Happy Hour; 15% discount 6.00pm - 8.00pm for slice cakes or buns. When dusk sets in, it’s time to relax. The Cascades Lounge is just the place to chill out and unwind. For reservation, please call (606) 766 7888 ext. 3666.